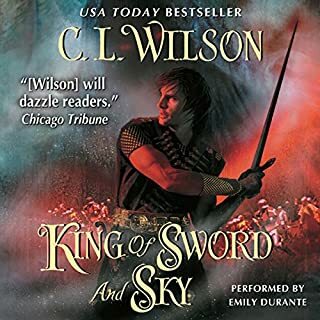 The Fey King Rain and his truemate Ellysetta share a passionate love unrivaled in the history of their world and a forbidden power that made them outcasts from the Fading Lands. 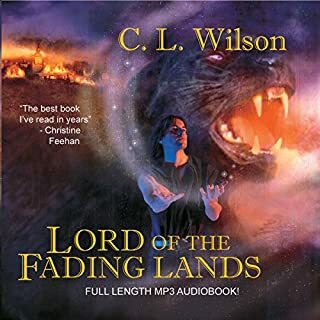 As war looms and the evil mages of Eld threaten to rip their world asunder, they must fight to defend the very kingdom and people who reviled them. Only by trusting completely in their love and in themselves can Rain and Ellysetta hope to defeat the gathering forces of Darkness. He had stepped from the sky to claim her like an enchanted prince from the pages of a fairy tale, but behind the mesmerizing beauty of his violet eyes she saw the driving hunger of the beast and an endless sorrow only she could heal. Only for him would she embrace her frightening magic. Only for him would she find the courage to confront the shadows that haunted her soul. Only with him could she hope to defeat the terrifying evil that had pursued her all her life. No barrier could stand between truemates, not of the body, mind or soul. Once he had loved with such passion, his name was legend: Tarien Soul. Now, a thousand years later, a new threat calls him from the Fading Lands, back into the world that had cost him so dearly. Now, an ancient, familiar evil is regaining its strength, and a new voice beckons him - more compelling, more seductive, more maddening than any before. Khamsin Coruscate, Princess of Summerlea and summoner of Storms, has spent her life exiled to the shadows of her father's palace. 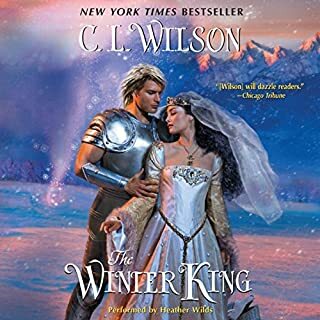 Reviled by her father, marriage to Wintercraig's icy king was supposed to be a terrible punishment, but instead offers Kham her first taste of freedom - and her first taste of overwhelming passion. As fierce, indomitable Wynter weathers even Khamsin's wildest storms, surprising her with a tenderness she never expected, Kham wants more than Wynter's passion - she yearns for his love. A song of love won her heart. A song of darkness haunted her soul. A song in the dance would seal her fate. Seers had long foreseen an extraordinary destiny for Ellysetta Baristani. Already she had won the heart of the Fey King - the magnificent Rain, ever her ally, eternally her love. She had saved the offspring of the magical tairen and fought beside her legendary mate against the armies of Eld. But the most powerful and dangerous Verse of her Song had yet to be sung. As the final battle draws nigh and evil tightens its grip upon her soul, will Ellysetta secure the world for Light or plunge it into Darkness for all eternity? As she and Rain fight for each other, side by side, will they find a way to complete their truemate bond and defeat the evil High Mage of Eld before it's too late, or must they make the ultimate sacrifice to save their world? 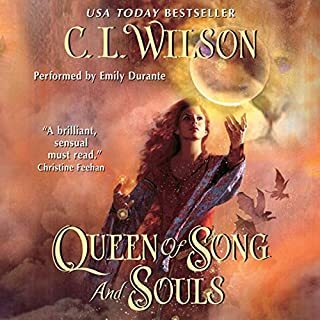 This is such a great series, tons of plot, romance and fantasy world to keep your imagination soaring. It is an absolute shame the narration on the last 3 books was painful. I almost stopped the series entirely from the terrible narration. Terrible voices, weird clipped way of talking that I kept thinking sounded like caveman talk, ugh. If you can manage to work your way through the painful narration you'll hear a good story....or better yet go buy it on kindle instead. This series is amazing. Buy it, read it, listen to it. 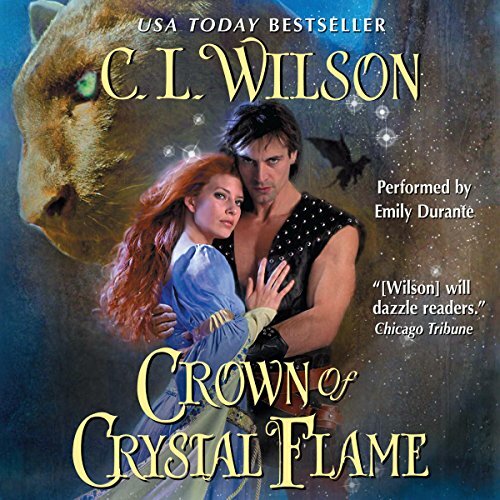 It's the perfect mix of Epic Fantasy and Paranormal Romance. It been a while since I've read a fantasy series and the first time I've read a a fantasy romance series. C.L. does a masterful job of keeping you in suspense and leaving you teetering on despair wondering how the heroes are going to surmount the overwhelming odds set against them. For fans of Sarah J Maas! This is one of favorite series and this book was the perfect ending for it. 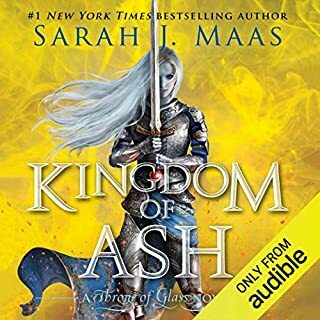 If you are a fan of Sarah J Maas, you will enjoy this work as well. 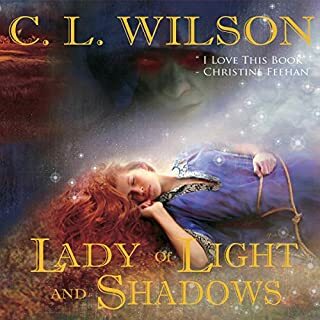 It is an excellent fantasy saga with great world building, character development, romance, and story line across all 5 books. C.L. Wilson deserves more recognition in the genera. Emily Durante does a fantastic job with the performance as well. I'm disappointed with this series and for me, this book didn't bring anything relevant, just concluded the saga. In my opinion, this book is very poor of narrative elements. The story goes around the main characters without actually developing. Besides, I found the ending really bad. So don't waste your time with this series.. is disappointing. This book was the best book in the series. very action packed and it came to a good resolution, whole still leaving us wanting more. You need to read the series. it's great filled with everything u could imagine. Definitely one of my favorite series.